As you’ve probably noticed, I’ve been absent for most of this holiday season. I hope to be back to my normal routine soon. One thing that has become traditional for us, is our home for the holidays “shop local” day. It’s a chance for us to check out many of the shops and antique stores in my home town of Lexington, Missouri, including Missouri River Antique Company, and the River Reader. You may remember my exciting school locker find from last year. Here are some of our finds from yesterday. 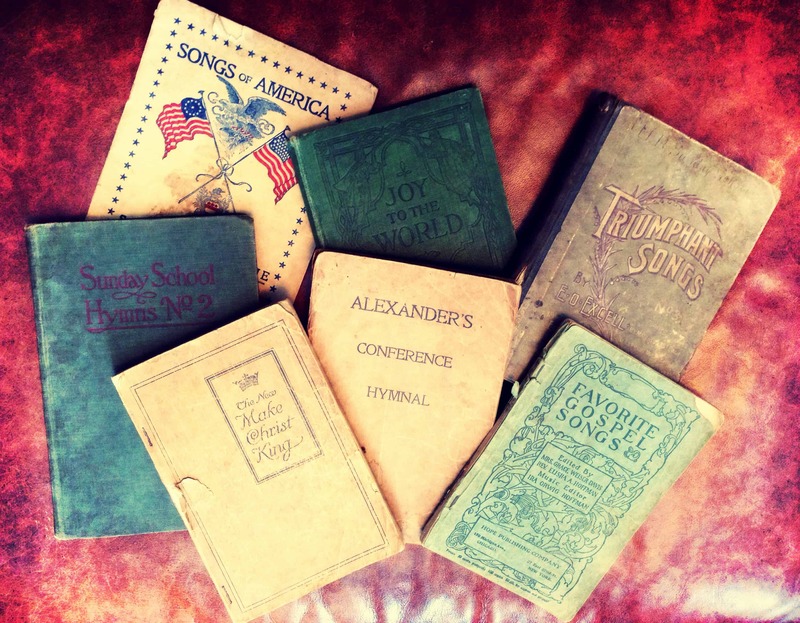 A collection of old hymnals and song books that date back to the late 1800s and very early 1900s. I found these at Lexington Mercantile Antiques & Fabrics. 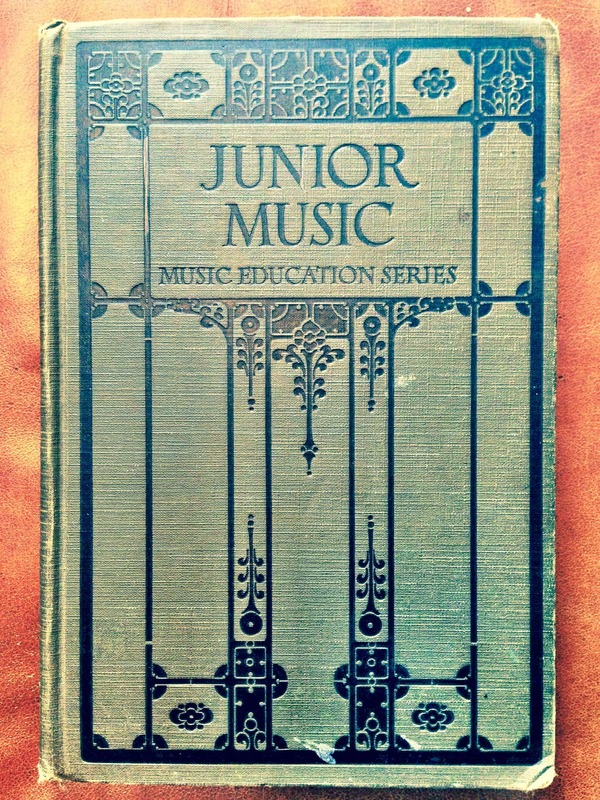 This next one is a music book used in the “Lexington, MO. Public Schools”. Though I don’t know when they were actually used, the copyright is 1924, which would probably put it in use during the time period of several of the old yearbooks from Lexington that I own. I was very excited about this one. I found this one at Missouri River Antique Company. It’s perfect for my collection. 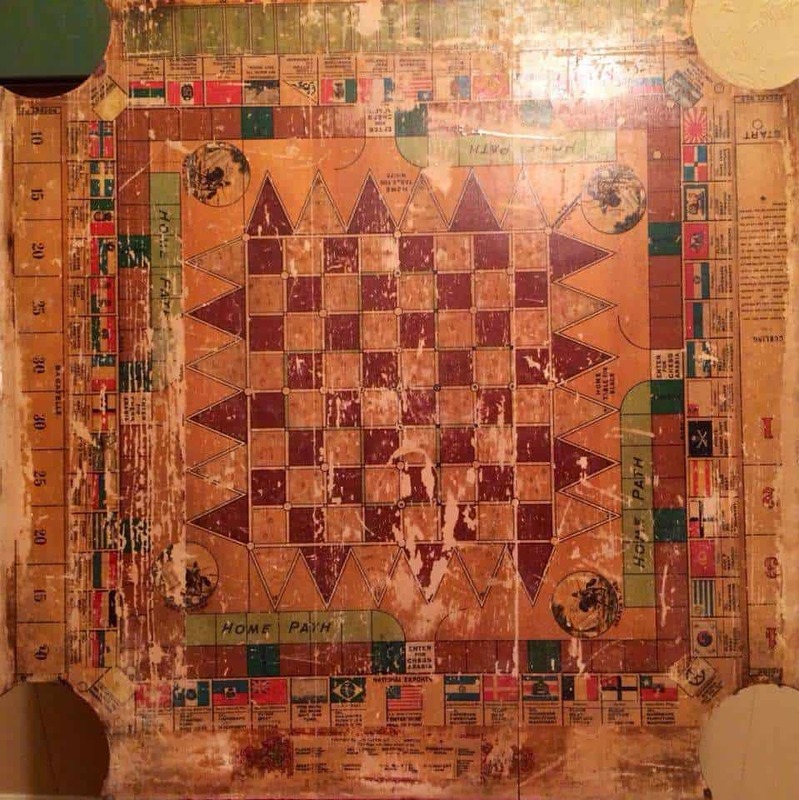 This old carrom game board is one of Joe’s finds, also from Missouri River Antique Company. He also found some cool padlocks and keys. Then I returned to Grandma’s house to look for more photos of Miss Owen. I found two, both from 1953. This one is of Miss Owen posing with her pen pal group. For more on Miss Owen, click HERE. 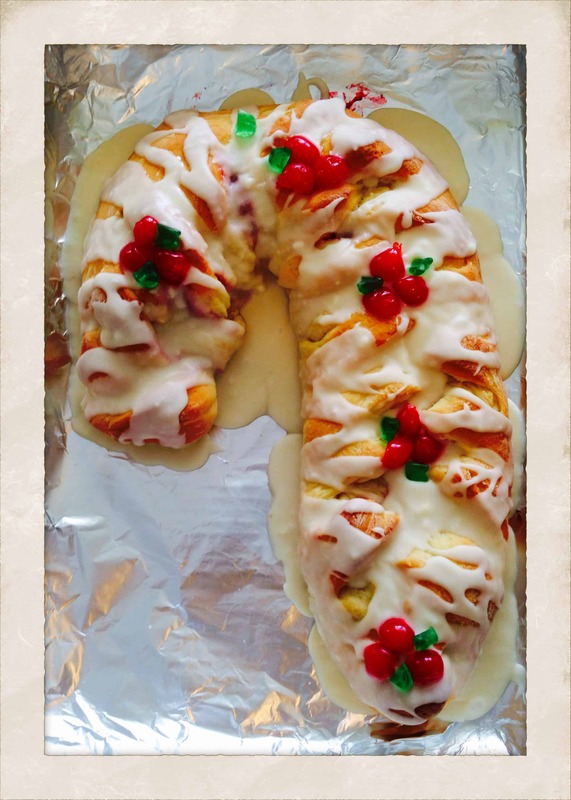 I had to include a photo of one of Mom’s candy cane coffee cakes. This is a thirty-plus-year holiday tradition for her. This entry was posted on Tuesday, December 24th, 2013 at 2:12 pm	and tagged with antique hymnals, antiques, big seance, blogging, candy cane coffee cake, carrom board, history, home for the holidays, junior music, junior music music appreciation series, lexington mercantile, Lexington Mercantile Antiques & Fabrics, lexington missouri, lexington mo, miss owen, missouri river antique company, music books, old game board, old hymnals, old music textbooks, paranormal, river reader, seance, shop home, shop home for the holidays, shop lexington, shop local, spiritual, verna owen and posted in Book Discussions, General. You can follow any responses to this entry through the RSS 2.0 feed. I am so very happy to have discovered your blogs! 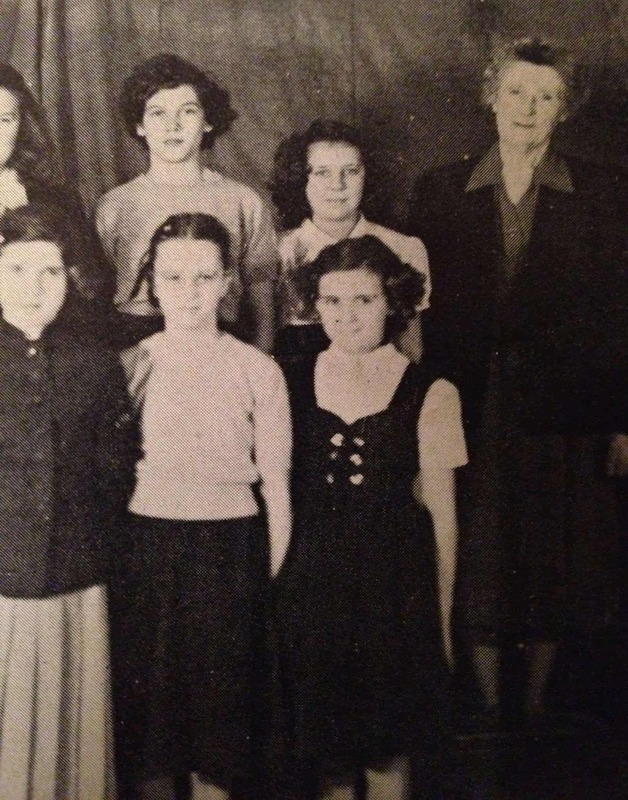 When I ‘moved up’ from 6th grade at Central School to 7th grade at Lexington Jr.-Sr. High, I was instructed by my parents that school would become much more challenging and it was expected that I would become a serious student. 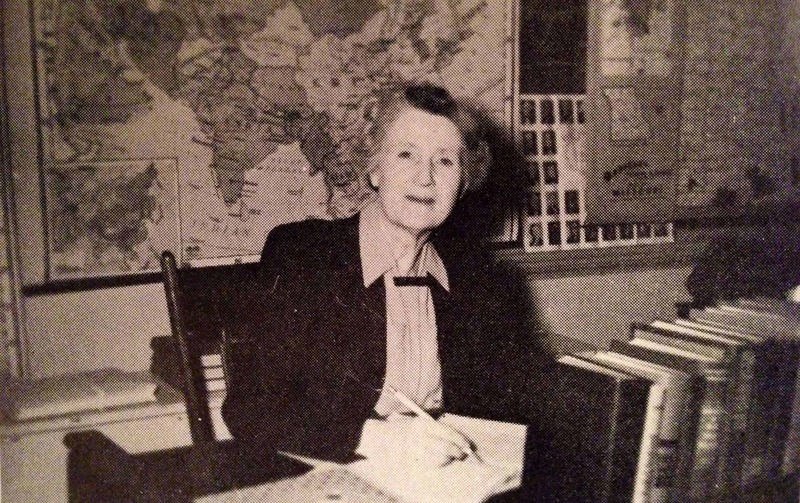 Miss Owen taught 7th grade Missouri History, and I loved it! I admired this soft-spoken, genteel little lady who shared her pride and a great deal of personal knowledge about Lexington and the entire State. 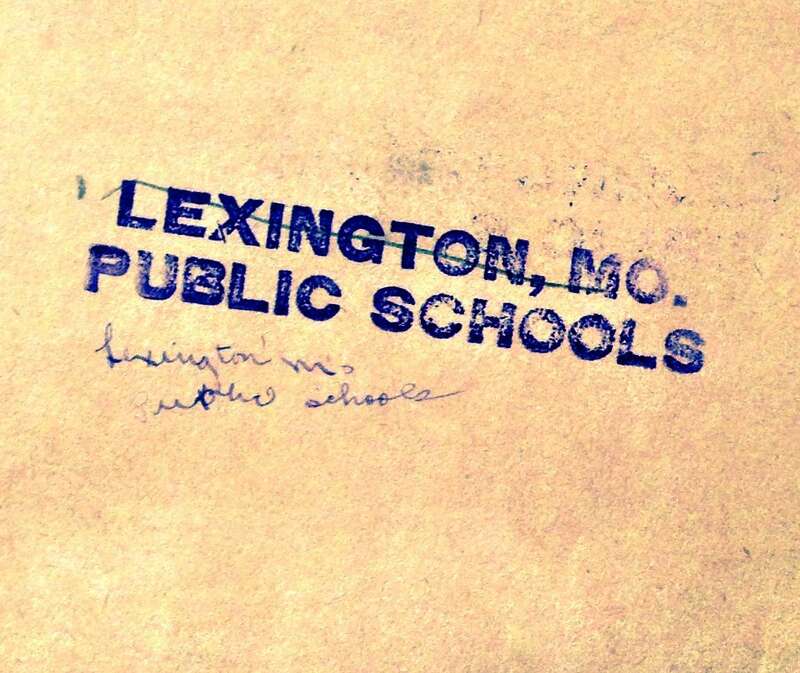 I wonder if students are still being exposed to Lexington’s history like I was back in the 1950’s so that they will appreciate their town’s past. I was not working the day you were shopping in Missouri River Antique Co. Wish I had been, thanks for stopping in.